Apparently, a 20 day long clampdown on traffic violations is just getting underway here and the police have three weeks in which to rub their avaricious hands with barely concealed glee and shakedown a few motorists before everything inevitably returns to square one. Operasi Simpatik Jaya 2010 has been set up with a remit to instill a little discipline and order into Jakarta's pell-mell traffic scrum and to say that its enforcers have got their work cut out would have to be the understatement of the century. In fact, the sheer enormity of the challenge ahead was brought home very vividly this week with two motorcyclists were killed when a landing plane hit them on the runway of Curug Airport in Tangerang. Apparently, motorcyclists frequently use the airport's runway as a shortcut. Chalk up another Darwin Award for Indonesia. According to Ministry of Transportation Spokesman, Bambang Ervan, "Tight monitoring [of airports] 24 hours a day, day in and day out, is impossible, there's just not enough people to carry it out." Not enough people?! Surely there are 250 million of them out there. What's more, every privately owned office block in town sports its own 24 hour security force. I wish that someone in the government would just be honest for a change and admit that the real reason is that there isn't enough money because it's all been pinched and spent on cars, women and moustache trimmers. I don't know, they make tourists wait in lines and undergo stringent new biometric scans whilst at the same time they've got Valentino Rossi wannabes popping wheelies on the runways whilst planes are trying to land. As with so many issues in this beautiful country, it would seem to be a question of the left hand not only not knowing what the right hand is doing, but utterly oblivious to the fact that there may even be a right-hand. 1. Motorcycles riding down the street in the wrong direction. Now this one is a definite menace to pedestrians and I think that a fitting punishment would be to get offenders to ride the wrong way down the middle of a busy Jakarta toll road for 15 minutes at no less than 60 km per hour. 2. Motorcyclists not wearing standard safety helmets. Apparently, Indonesian National Standard (SNI) helmets are now mandatory and all bear genuine SNI stickers (which are obviously utterly impossible to scan into a computer and fake). 3. Public transportation vehicles that stop where they shouldn't or that drive recklessly. That's pretty much all of them, isn't it? 4. Motorcyclists with no lights on in the day will face an on the spot Rp.100,000 fine. Hmmm, but bikers with no lights on at night will be given a bar of chocolate and a kiss on the cheek? 5. Bikers and passengers without helmets will be fined Rp.250,000. Ironically, this is about the price of a halfway decent helmet in Indonesia but there you go. 6. Cars and motorcycles without rearview mirrors, horns, lights, proper exhaust pipes and which have worn tires will be fined Rp.250,000. I've encountered many vehicles here that fail on all of these counts. 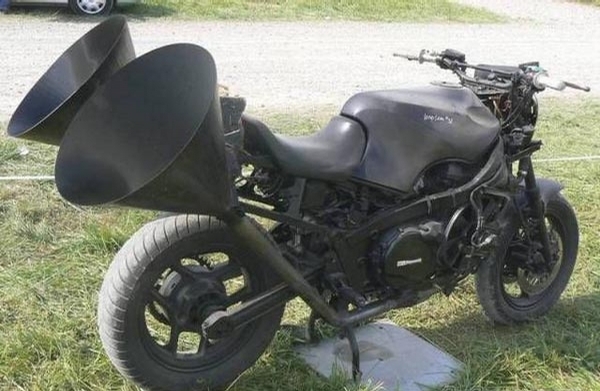 My particular bugbear is motorbikes that have noisy racing exhausts fitted so that they sound like a squadron of 747s having durians fed into their air intakes. I thought that it might provide some valuable data for police statisticians and urban planners to get stuck into if I went for a drive around my local area whilst timing how long it would take me to spot an example of each and every one of these nefarious classes of miscreant. It would also offer me about five minutes of fun on a par with the, "I Spy" books that I used to try and fill in as a small child. I set off with my stopwatch running, utterly confident of bagging all six before leaving my neighborhood. In fact, before I even let the handbrake out, our maid came careering around the corner on her Suzuki scooter, sans helmet. I crossed number five off the list and scribbled 0 minutes 2 seconds next to it. I hit the traffic light queue on my nearest main road and immediately spotted a biker wearing one of those Rp.10,000 PVC baseball caps that are laughably sold as helmets here. That was number two crossed off at 1 minute 10 seconds. As I got to the lights and rounded the corner, I spied number one cheerfully riding against the traffic and then realized that he was also a number four, 3 minutes 55 seconds. When the next set of lights hit green, traffic was somewhat hampered by the orange Metro Mini which had decided to stop in the middle of the junction to let off a middle-aged woman with a small child and some heavy shopping. God bless them. So that was number three at 5 minutes 32 seconds. A boy racer then roared past perilously close to my right flank, racing exhaust emitting a sound equivalent to a helicopter landing in the audience at a Metallica concert. Bingo! The full set at only 5 minutes 57 seconds. It had all been too easy and so I thought that I'd try and tick a few bonus boxes. On my travels I also saw: a family of five all balanced precariously on one scooter - tick, plus an extra tick for the fact that both parents but none of the three kids were wearing helmets. I also gave myself extra ticks for a street vendor who was trying to push his baso trolley into the oncoming traffic, a biker carrying a stack of rice crackers so high that he couldn't see over the handlebars, a bajaj swerving violently at the last minute in order to execute a right turn and a parking attendant who was extremely insistent that I kept going in the direction that I was already travelling in. Job done. Like taking candy from a baby. Well, it's all go in the city that they (well, me at least) call The Big Durian. A huge billboard standing outside my office proudly proclaims, "Pajak Anda Membangun Jakarta" (Your taxes to build Jakarta) over a smiling, avuncular picture of Big Brother Fauzi Bowo, bristlingly handsome moustache lightly moussed down and Islamic peci tellingly lacking atop his regal crown, a symbolic gesture of value added piety gone missing in action. Taxation in Indonesia is Lucifer's domain you understand. Maybe he should have had some horns Photoshopped in. Your taxes to build Jakarta ay? Well they are certainly building somebody’s Jakarta, however whether the great unwashed benefits from all of this construction is debatable. Does a private guitar shaped swimming pool and whirlpool bath lovingly sculpted into a tax official's back garden qualify as a public facility? Perhaps a few people should start knocking on their doors with towels and swimming trunks under their arms. Actually, scratch that, most people can't swim here can they? Maybe instead they could demand to have a go in their BMWs or to accompany them on a gentlemen's evening down to a top-class massage parlour. In this context, the current, farcical bun fight (currant bun fight, geddit? Ho ho!...sorry) over corrupt tax officials is hardly surprising. I mean, if you run a huge campaign imploring the general public to start paying its taxes, then its surely inevitable that at some point they're going to want to know where the hell the money's gone. And just where has it gone? "He's got it", "No, he's got it", "You big fat liar! You had it!" etc etc ad infinitum. According to my tax return form, my office paid about Rp.60 million in taxes on my behalf over the last financial year. Whether they actually did or not is anybody's guess in this country, however I believe my paymasters to be generally above board in this regard. Filling in the tax form itself however was something of a brain teaser and I can sympathise with Einstein when he once said of his tax returns, "This is too difficult for a mathematician, it takes a philosopher." I certainly wouldn't be happy to learn that my contributions towards building a stronger civil infrastructure had instead been put towards chocolate martinis, luxury sedans and cheap tarts with expensive tastes in frocks. Alas though it would seem that this is where much of the building Jakarta money has gone. I mean I could be wrong but, to a first approximation at least, we would all appear to be living in one enormous shanty town built on a swamp which has been incongruously dotted with expensive shopping plazas and five-star hotels. I'm sure that my tax Rupiah could be put to better use than this. Let's quickly survey the metropolitan wreckage and see if we can't come up with some more constructive ways of building up our hometown, with the goal of making it possible for tourists to visit the city without returning home with post-traumatic stress disorder. Many Indonesian schools seem to be rather light on facilities. A single pencil between 150 kids who each get to have a ten minute go on it per week is generally the order of the day and would seem to indicate that less than the mandated 20% of the budget is being spent on education. Each school should have at least two pencils to go around in my view. It's not just primitive superstition that drives people with broken legs into the arms of shamanic charlatans (or dukun as they're known in Indonesia) who then attempt to heal the fractures in question by holding their hands over the break and going all wobbly eyed whilst chanting incantations to the god Zeus. The simple fact of the matter is that they simply can't afford to be bolted back together at an institution that actually acknowledges the germ theory of disease. If I had my tax money to spend anyway I wanted on building up Jakarta then I'd probably elect to buy a metric ton of Durex party hats to be dropped over the city's various districts from low-flying aircraft. This could be first-rate public entertainment. The miscreants in question could be shot by firing squad up at Monas every Sunday afternoon followed by a Dangdhut concert and free ‘baso’ for all. There's clearly no real transportation solution for Jakarta using current technology so I would invest millions in teleportation research. Mind you, if such research ever bore fruit and the machines actually came online then I don't think that I'd necessarily have much faith in them being properly maintained here. It's one thing to get off the bus when it breaks down but quite another to have your internal organs teleported to Bekasi whilst the rest of you arrives in Kemang (actually, this may have already happened to some of my acquaintances). I'd advocate selecting ten shopping malls at random and bulldozing them into the ground. The resulting parks could be seeded with hemp plants which could be used to...erm... make T-shirts or something. 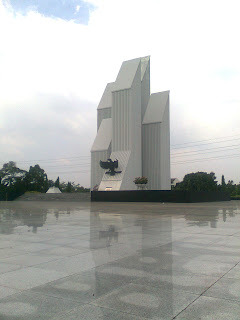 Jakarta is full of rather gaudy monuments, a testament to the late Sukarno's mounting megalomania. Perhaps some new ones could be fashioned that more accurately reflect the city's political and social zeitgeist. An enormous marble plinth topped with a huge bronze fist with its middle finger raised towards the heavens would be just the ticket. 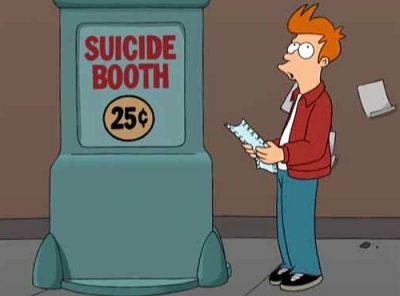 You’ve heard the old saying that the only two inevitable things in life are death and taxes? Well, why not combine the two. I mean, Jakarta can really get you down sometimes. So there you have it. That's my eight point budgetary plan for a brighter future and I'm sure that most of you would have no trouble coming up with a few suggestions of your own. As for the current four-way spat between the tax office, the police, the courts and the KPK (Corruption Eradication Commission) then I fully expect the whole depressing circus to rumble on indefinitely. Looking on the bright side though, this is undoubtedly an essential step on the way towards civilising Indonesia. You can't take your filthy lucre with you when you die after all. Mind you, taxation proves that you can't leave it behind either. Last long weekend, my indolence got the better of me and I didn't manage to leave town and join the slowly snaking queues of SUVs weaving through small West Javanese towns having plastic bags full of sweaty tofu thrust through their windows whilst the kids in the back sent text messages written in words without vowels to their school friends and smeared Silver Queen bars into the upholstery. Thank the Lord I missed that one. Instead, I decided to consecrate several bottles of the blood of Christ and kickback at home. There was also the chance to see if Herr Ratzinger's Easter address would touch on the church's current, "No child's behind left" crisis, which alas it didn't. Thankfully, an Easter miracle did take place though and the roads in town seemed to clear as if by divine providence. The city's blanketing smog bank also parted as if by the hand of Moses himself and thus I resolved to head out for a bit of a cycle ride around my local area. Donning my Viet Cong hat and hammer and sickle T-shirt, which I purchased last year in Saigon and which I like to annoy Indonesians with, I saddled up and wobbled off down the road with all these sinewy, muscular poise of a walrus in a shopping trolley. Crossing over the traffic Rubicon of Jl. Mampnag Raya, while trying not to get mown down by a TransJakarta bus, a taxi on autopilot or a suburban all-terrain tank (it's very important to have four-wheel drive when heading down to Hero you understand) I managed to slip onto a quieter tree-lined street heading towards Pancoran and Kalibata. After a brief five-minute stop at a minimart in order to get laughed at by a parking attendant and to buy a bottle of low-calorie, isotonic sludge in a futile bid to look and feel more Lance Armstrong like, I remounted my rusty steed and hit the road again. 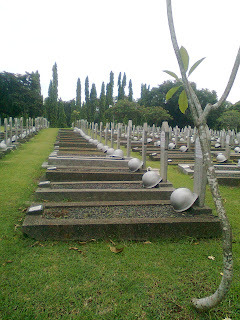 After a few minutes, I arrived at Kalibata Heroes Cemetery, a huge military graveyard roughly equivalent to America's Arlington National Cemetery. This one had Metro Madness written all over it I thought and I blithely cycled into the compound. I was steering my bike through the gates before a security guard caught up with me. Luckily I saw his wildly gesticulating form before I reached the Cenotaph. Popping a wheelie up there would undoubtedly have been a shooting offence. 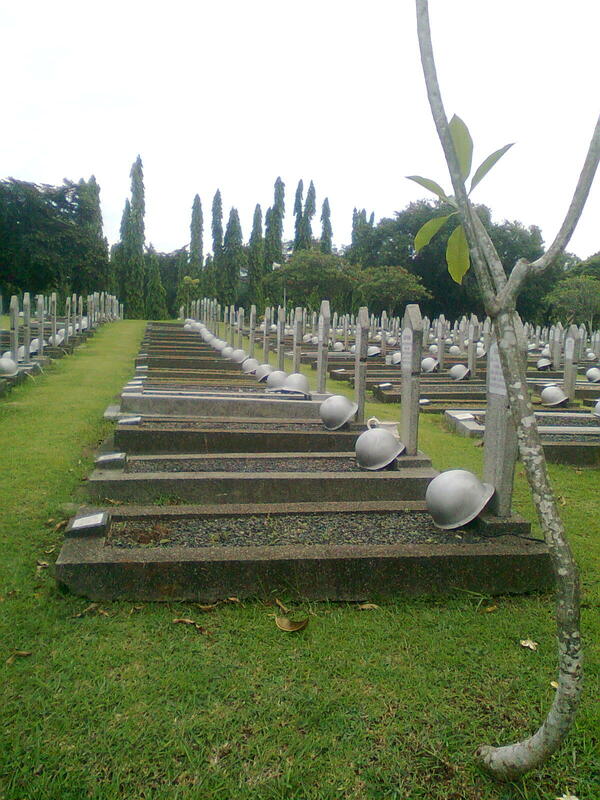 The cemetery contains the graves of over 7000 people, including many military casualties and veterans from the Indonesian War of Independence. These take in a large number of Japanese who sided with the Indonesians against the Dutch at the end of World War II. 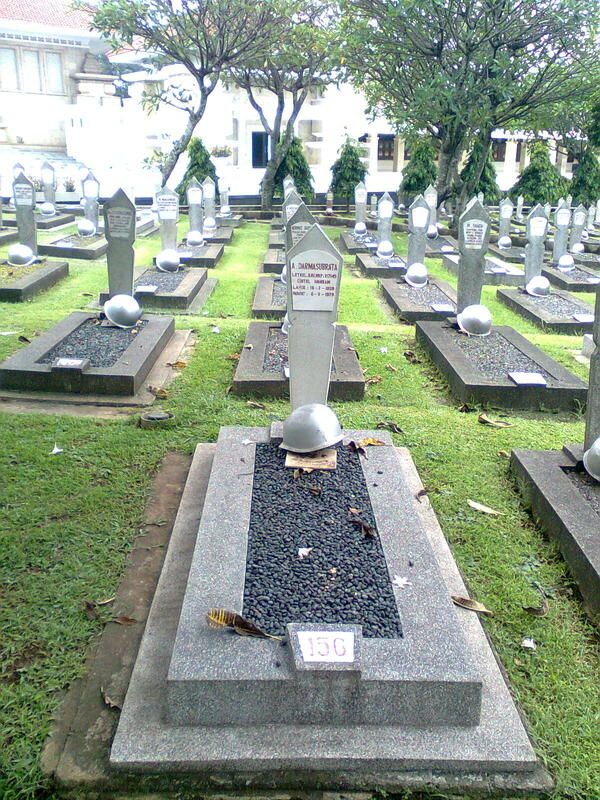 The cemetery is immaculately kept and the neat, well tended rows of graves stretch in all directions, a metal helmet atop each one. A few families were wandering around the grounds, presumably attending the graves of loved ones. There were also two long walls of names and corresponding years near the cemetery entrance, very similar to the Vietnam War Memorial in Washington DC. I inspected a few of the names and dates of death at random and certain years seemed to stand out for me. Indonesia's struggle for independence and release from the colonial yoke was a just and noble cause but in years such as 1975 and 1999, the jackboot of imperialism was most certainly on the other foot. 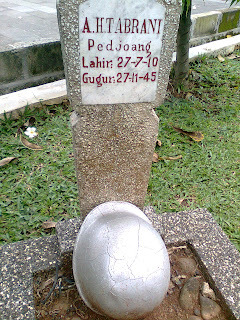 In fact, since the Second World War, Indonesia has had little in the way of real conflict to deal with beyond poorly armed resistance groups struggling for the right to a bit of self determination and bewildered villagers armed with nothing more dangerous than baso balls (which admittedly can be potentially lethal in the right hands). 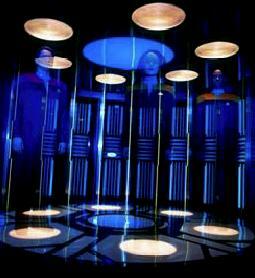 They've been helped, of course, in their imperial adventures primarily by my own country (the UK) and the USA. Indonesia has its independence heroes of course, but this was a popular people's struggle and everybody, to a greater or lesser extent, was part of the fight. 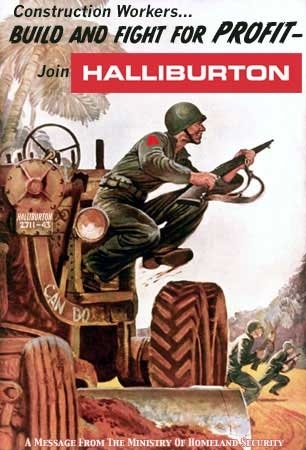 There is a difference between such a people's struggle or citizens’ army and what Noam Chomsky has dubbed a, "Mercenary army of the disadvantaged." Some armies, such as the French Foreign Legion, are directly mercenary however volunteer armies, such as the current Indonesian, American or British armies could be considered mercenary armies of the disadvantaged. This means that they recruit from and prey disproportionately on disadvantaged sections of society, people who have very limited options with regards to making a decent living and getting health, pension and insurance benefits. Once recruited they can then be sent out on military expeditions of dubious ethical value. Admittedly, Indonesia's bottom rung soldiers are underpaid and under appreciated but the job still beats selling chicken noodles and living off Rp.20,000 per day. Some of you may be bristling at this analysis but ask yourself, privileged and educated sophisticate that you are, whether you yourself have ever considered enlisting? I'm guessing that most of you would probably answer in the negative. You certainly wouldn't catch me volunteering to go and bomb the soup out of some largely defenseless race of dark skinned people. I mean, I could get hurt. Getting a medal pinned to your chest is scant consolation of having to control an electric wheelchair via a drinking straw for the rest of your born days if you ask me. Musings on man's inhumanity towards his fellow man over, I remounted my armour plated, 18 speed, heavily armed beast and pedaled off. Hanging around graveyards on Easter weekend was starting to seem a bit macabre. It was time to get into the real spirit of Easter and buy a massive, pre-melted family sized bar of Cadbury's Fruit and Nut and stick it in the freezer for half an hour. It should be just about ready by now in fact. Whoa!! 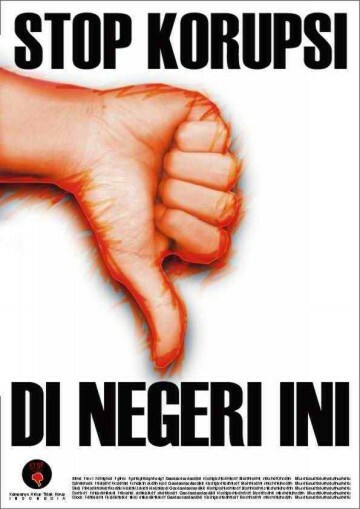 We Hate Persib and We Hate Persib!! We are the Persib...Haters. 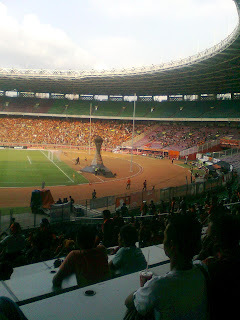 Over a week ago, soccer came to Senayan once again in the form of an Indonesian Super League game between Persija Jakarta and Persib Bandung. 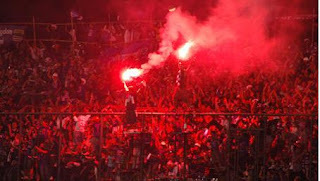 This fixture is a grudge match to rival Liverpool versus Manchester United or Barcelona versus Real Madrid and, as a consequence of this, as well as the fact that violence has been endemic at Indonesian soccer matches over the years, all away supporters were banned from attending the game. The last time these two sides met in January however, there were no supporters watching at all owing to security concerns. And so I peddled my bicycle to Senayan, locked it against a fence and strolled into the stadium grounds, trusting that nobody would mistake my scrawny white buns for those of a Bandung supporter and kick my head in. I don't generally have the greatest faith in the Indonesian police, even the 2000 strong force that were on duty at the match, and so I bought an orange scarf to show my allegiance to the home team. 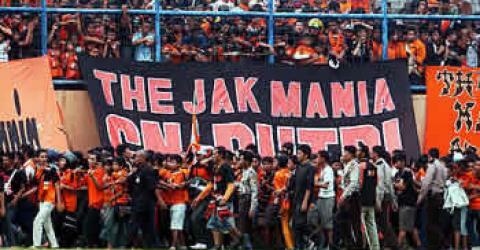 Orange is the Persija color of course and the city is turned into a riot of vividly adorned buses on match days. The team itself plays in red however. Go figure. I made it to the VIP entrance and, after paying Rp.100,000 to a tout for a Rp.60,000 ticket, I managed to find a comfortable seat in the press area away from the unwashed orange herd. The person who dubbed soccer, "The beautiful game" had clearly never attended an Indonesian fixture. The national team has a pretty abysmal record of course and has just spectacularly failed to qualify for the 2011 Asian Cup and also recently lost to regional minnows Laos in the SEA Games. Possibly, things haven't been helped by the fact that the head of the Indonesian Football Association (PSSI), Nurdin Halid, ran the organization from a jail cell for over a year a little while back. Only in Indonesia, etc etc. I think the most hilarious story that I've ever read about the nefarious world of Indonesian soccer however involved a referee being chased around the pitch by a local Regent after a particularly controversial decision. The Indonesian Super League itself is hardly overflowing with precocious footballing genius and most of its best players have been imported from Africa and various other countries. The atmosphere on the terraces was quite electric however. Bung Karno Stadium could do with a bit of renovating but can hold an impressive 100,000 people. The top tier had been closed off for the match but there must have been a good 50,000 present, all shouting, screaming, chanting, lighting flares, taking part in Mexican waves and most likely stealing each others’ wallets. Perhaps it says something about the Indonesian economy that a normal league game held on a weekday during working hours can attract so many supporters. Eventually, the teams took to the pitch and battle commenced. Alas, the first half proved to be a somewhat enervating affair and the score remained 0-0 as we headed into the break. Things perked up considerably in the second half though and Persija scored a thrilling last gasp equalizer to draw the game 2-2. The referee even managed to award Bandung a penalty without being taken out by a sniper in the stands. The fans went wild and let off so many orange flares that the stadium started to resemble downtown Beirut. Still, at least Jakarta hadn't lost and thus the chances of my being knifed in the kidneys had dropped precipitously. Now came the tricky part though, going home. I headed out and walked cautiously around the stadium’s perimeter as an orange tsunami spilled out of the various exits. I unlocked my bicycle and headed out towards the main road. Thankfully no one seemed to think it necessary to push me off and steal my mobile phone. In fact, most were content to simply point and laugh at me, it's not every day that you see a big nosed Westerner wearing a Persija scarf and riding a bicycle after all. A few days later, I came across a story in this very paper which confirmed that my fears had been well founded. Apparently, a supporter had died after the match after being mobbed to death. Again, only in Indonesia it seems could someone be killed at a game at which there aren't even any away supporters. Apparently, a thug in the crowd had pointed to a small group believing them to be Bandung fans and him and his friends had then attacked them, killing one of them and putting another two into hospital. 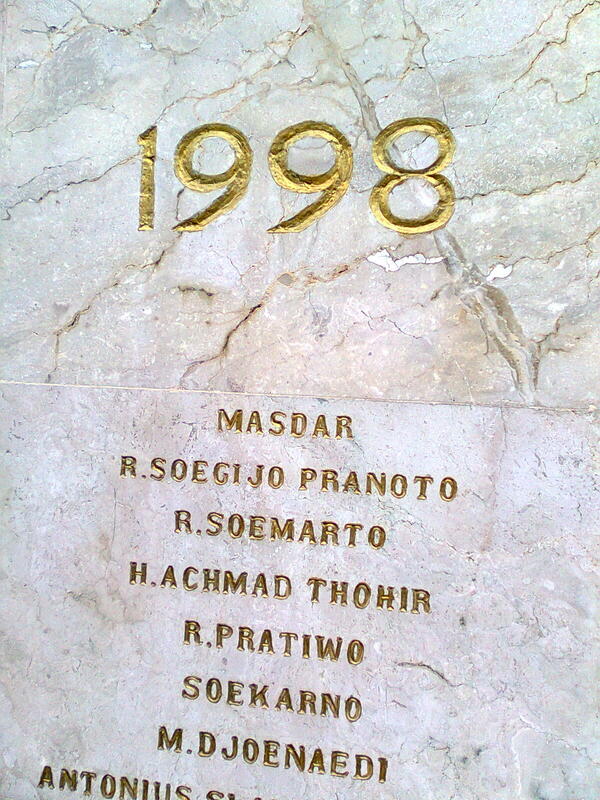 Of course, it later turned out that the victims had been Jakarta's supporters after all, funny that. Alas, events such as this represent the negative flipside of the Indonesian psyche and its friendly sociability, the flipside of an intense neighborliness that transcends self conscious awareness. Mob formation and the propensity to run 'amok' (tellingly, one of the only Indonesian words to make it into the English language) are the dark underbelly of Indonesian society and its repressions. I imagine that these guys would struggle to later recall actually killing someone at the height of the mob’s unconscious, emotionally charged intensity and to explain why, when their man was already down, they kept on kicking. The reason could be that the collective drive of the mob, in psychoanalytic terms, eliminates each individual member’s higher functions of self-criticism and conscience. Perhaps the attackers were taking a leaf out of the Bill Shankly book of life. Bill was the former Liverpool manager who famously once said, "Some people think football is a matter of life and death. I assure you, it's much more serious than that." 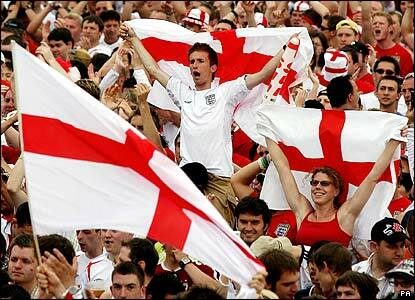 Anyway, roll on the World Cup I say. My brave English boys will show these Indonesian whippersnappers what real hooliganism is all about.